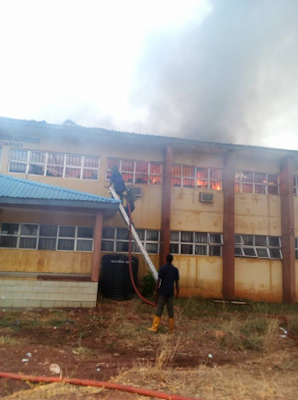 Fire swept through the accountancy building of the Institute of Management and Technology (IMT), Enugu state on Christmas day. A staff of the institution shared the sad news on social media. Properties were destroyed but no fatalities were reported. 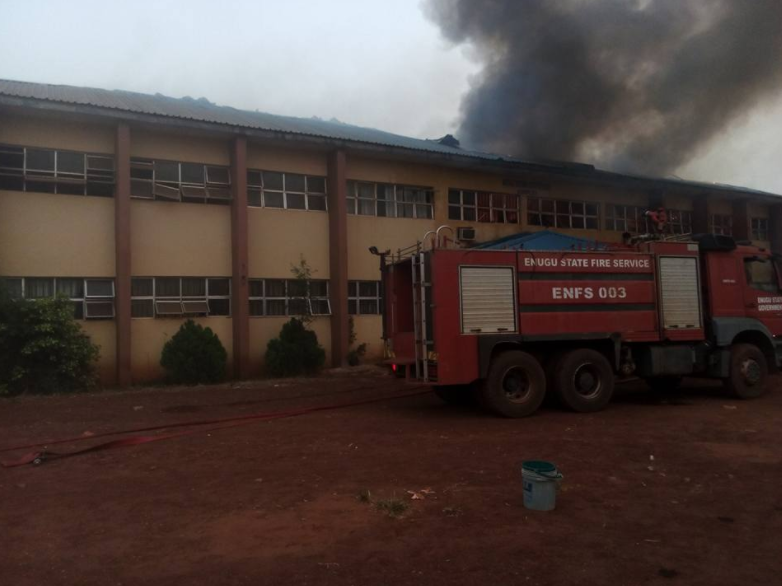 A fire truck arrived the scene of the accident in time to help put out the fire before it could spread any further as is known to be the case during harmattan.